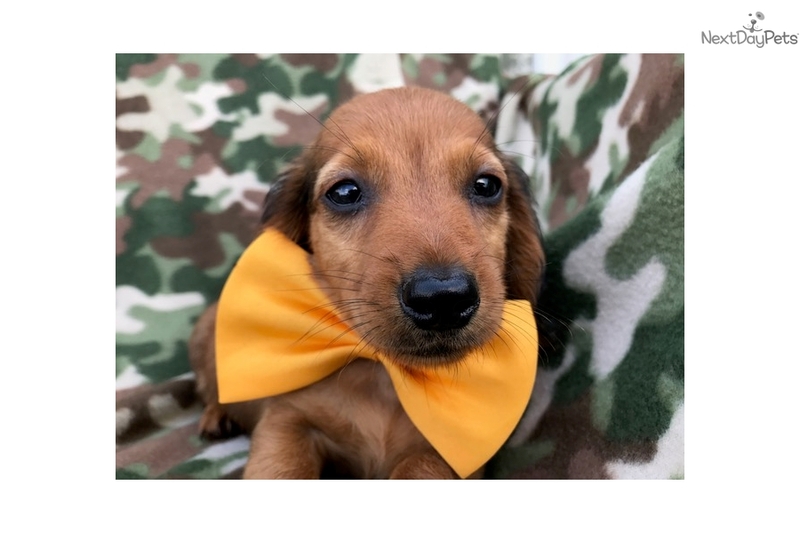 This Dachshund nicknamed Ross sold and went to a new family. Come and meet Ross! He is a super sweet ACA registered long haired Dachshund. Fully grown will be between 16 and 33 pounds. He is family raised, vet checked, de-wormed, current with his vaccinations and he also comes with a one year genetic health guarantee! If you want to have him flown out to you, delivered by car or come and meet him in person feel free to text or call.